The subject can only be the city of Stockholm; the main verb, to be. 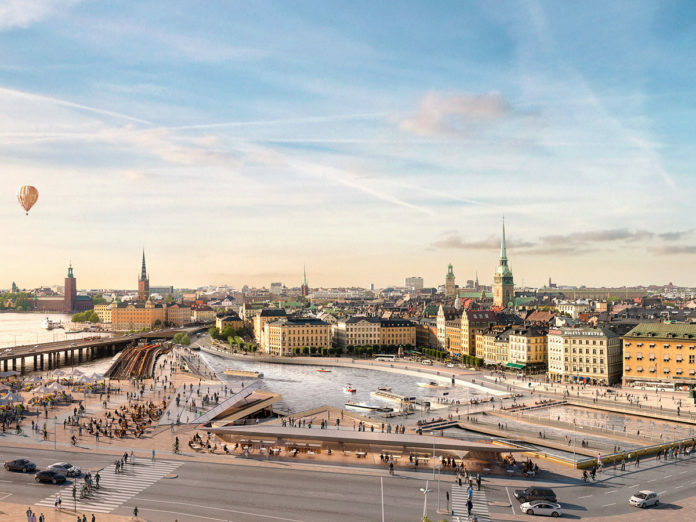 A status that springs forth from the versatile and lively character that the Nordic capital is manifesting with renewed energy. A momentum that embraces the creative, cultural, architectural and planning sphere; involving important names from the international panorama, elevating the city to being a model and an inspiration for sustainable design. Entire neighbourhoods are undergoing a profound transformation, respecting the local historicity but with a nod to the most innovative architectural solutions, without neglecting the enormous enhancement of the green spaces and the naturalistic side, which is an absolute must. Construction site already in operation for a long time, the Slussen Interport is the object of one of the city’s major urban redevelopment projects, based on a design by Foster+Partners. Another historical corner has been redesigned, this time by the Herzog & de Meuron studio, whose project of the 90-metre Gasklockan tower will replace an old gasworks dated 1930. Then follow the spectacular residential complexes of OMA, which with Norra Tornen pays homage to Brutalist architecture (which, according to the critic Reyner Banham, was in fact born in Sweden) and BIG with 79&Park, a wooden ‘hill’ that integrates into the surrounding greenery. Along this same path is the project by Anders Berensson Architects, selected to give new life to the Masthamnen district, for which he designed a “park” of only wooden skyscrapers. 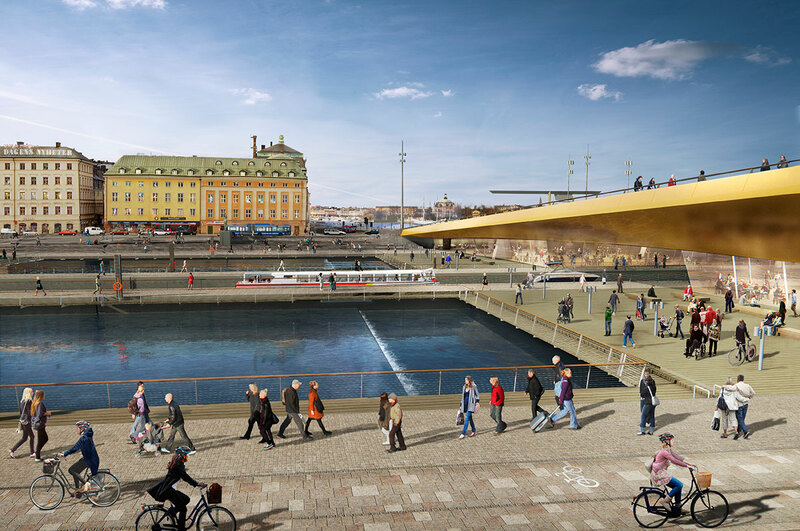 On the more ‘architectural’ side, there is also the artistic proposal (it even reopened after the Nationalmuseum) and more purely that of design, perfectly tangible on the occasion of the Stockholm Design Week (4-10 February) and its highlight, the Stockholm Furniture & Light Fair (5-9 February). The event will not lack the traditional parterre of international furnishing and lighting exhibitors, including installations (such as the Greenhouse Bar and Cafè designed by the duo Thau & Kallio) and exhibitions (from the collective Greenhouse to the NM & A New Collection exhibition), to the installation for the Entrance Hall created by the 2019 Guest of Honour, Neri&Hu.